The defection of Cohen was deeply troubling to Trump. But more former Trump loyalists keep distancing themselves from the president. The list includes Pecker, former White House staffer Omarosa Manigault Newman and former National Security Adviser Michael Flynn. 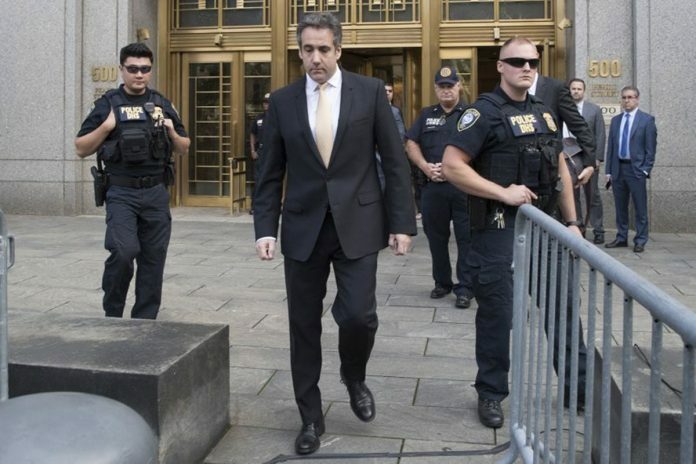 The defection of Cohen, who had once grandly declared he would “take a bullet” for the president, was deeply troubling to Trump. And the lawyer is just one in a series of former Trump loyalists who have distanced themselves from the president, intent on saving themselves in a series of nasty legal and political battles. The growing list includes Pecker, former White House staffer Omarosa Manigault Newman and former National Security Adviser Michael Flynn. Pecker, a Trump confidant and chief executive of the company that publishes the National Enquirer, was granted immunity by federal prosecutors in exchange for providing information in the criminal investigation into hush payments made by Cohen on Trump’s behalf before the 2016 election. A senior White House official said the president was undoubtedly frustrated and surprised by the latest developments, particularly campaign finance-related charges against Cohen, as evidenced by Trump’s tweets and public statements. But the official disputed the notion that the president was visibly upset over the news. The official, who spoke on condition of anonymity to describe internal discussions, said Trump carried out his normal complement of meetings Thursday and bantered as usual with staff and lawmakers who were at the White House.